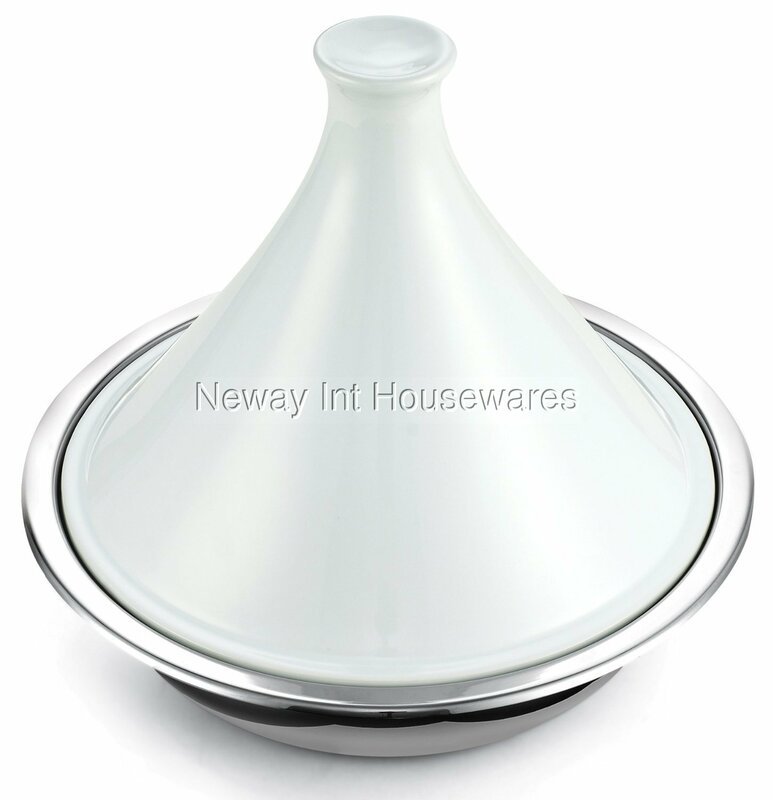 The Cooks Standard 4.5 Quart Multi-Ply Clad Stainless Steel Tagine with Extra Glass Lid has a multi-ply clad metal construction that is a combination of 18/10 stainless steel with an aluminum core that creates a permanent bond of metal. Heat passes through the whole pan along the bottom and up the sidewalls which gives maximum cooking performance. This construction is only used in the highest-grade cookware. Tagine is a traditional type of cookware widely used in North Africa. Consists of two parts: bottom pan and a cone shape lid. With a multi-ply clad stainless steel bottom pan there is no need to worry about clay pot becoming cracked. No heat diffuser is needed compared to clay pot. Multi-ply clad stainless steel cooks food more evenly and thoroughly. Suitable for use in all kinds of stovetops, including induction.